All that power gets thrown straight to the rear wheels because of the new 4L80E auto transmission that was added. 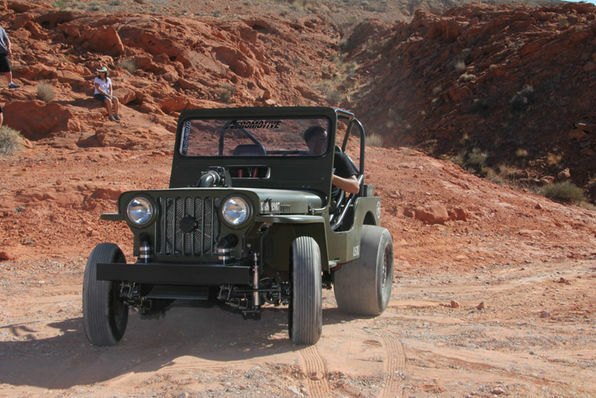 The Mickey Thompson Street R tires serve the classic Jeep’s thrill runs on the drag strip. 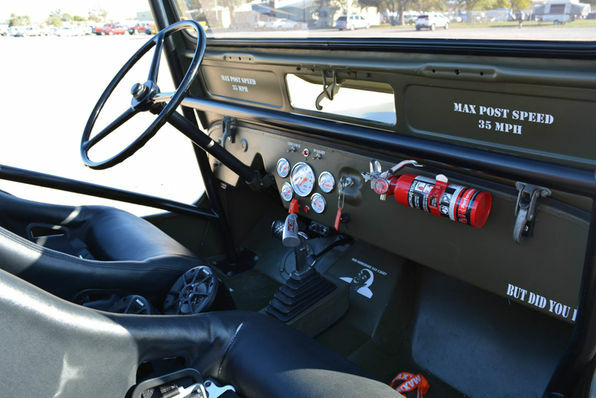 The dash mounted fire extinguisher might just be there to put out the tracks the LSX Willys lays down on the quarter mile. Ammo cans come into play for custom fittings on the interior from the shifter mount to speaker boxes. It also carries a harness system. With this much power packed into such a small home, there’s no wonder that the LSX Willys also sports wheelie bars on the rear.